APP's Volunteer day at Winterbourne House! 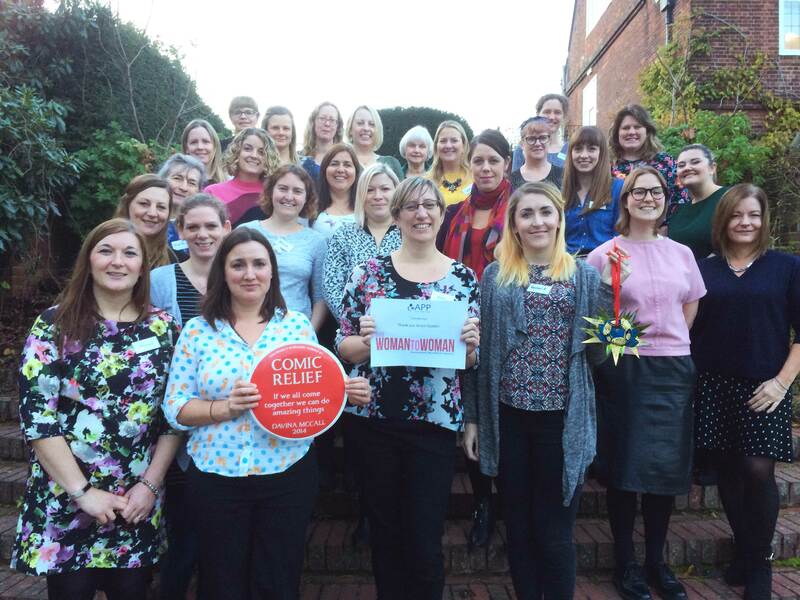 On Saturday 24th November APP hosted a day for 20 of our volunteers in the beautiful venue of Winterbourne House and Gardens in Birmingham. The day was generously funded by the Rosa Woman 2 Woman Fund. It was a special day for everyone who attended, and those of us who facilitated the day. During the day we did a mixture of socialising, workshops, and craft activities. We were really lucky to be joined by documentary filmmaker Iain Cunningham, and the event included a screening of his film ‘Irene’s Ghost’ at the end of the day. 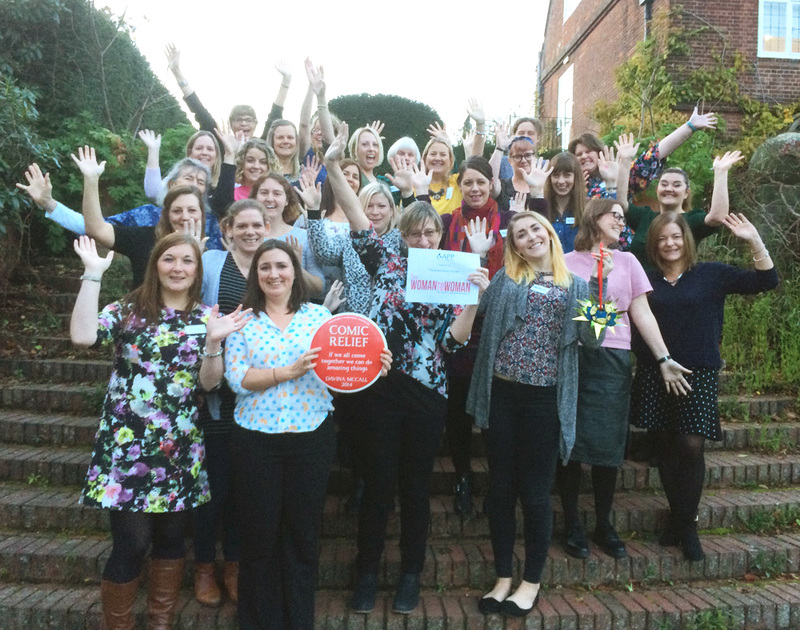 We ran workshops and media / public speaking training for our regional rep and media volunteers who do an amazing job of sharing their stories, and raising awareness of PP and APP. 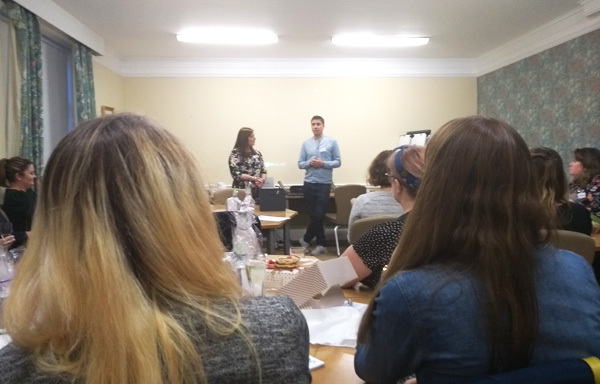 The volunteers shared their experience, and received input from our media adviser Vicky Jepson and Iain Cunningham, including practicing doing interviews. They all fed back that they found the workshop valuable and helpful. Iain also filmed and interviewed some of the volunteers, which we hope to use on social media and our website. 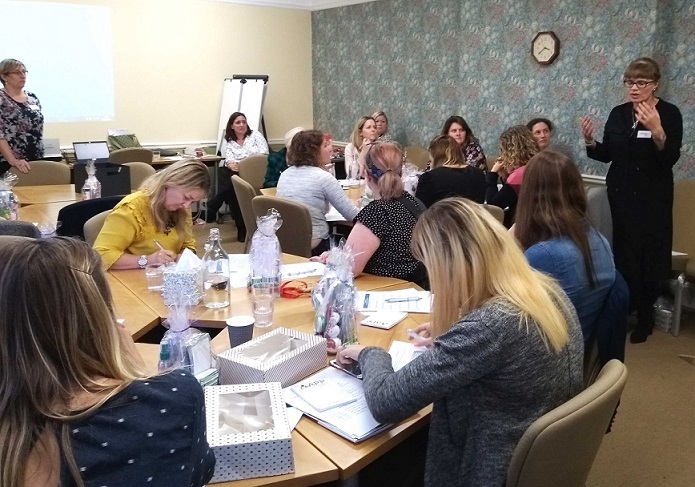 The other workshops were to get input from our volunteers about their experience of being a parent after having PP, and also their experience of talking to their children about PP. Clare Foster hosted these workshops and they were to get input for a new guide we hope to produce next year which Clare is coordinating. Participants fed back that they found the discussions interesting and helpful. Many of the volunteers will be involved in ongoing discussions and input for the guides. 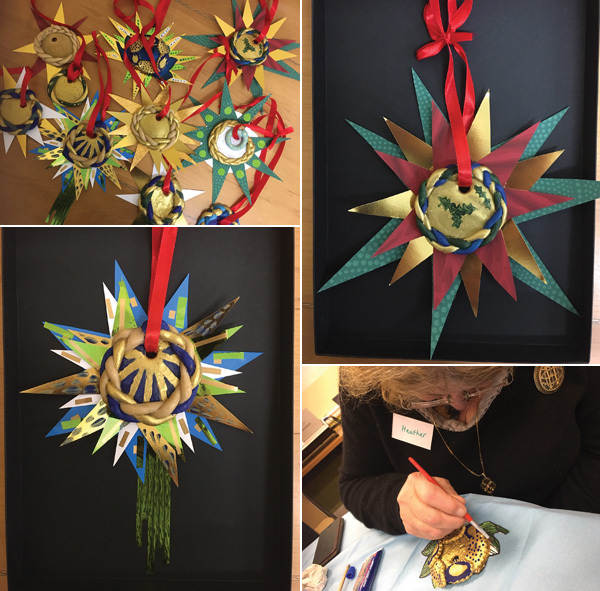 Birmingham based artist Tereza Buskova, facilitated wonderful salt dough crafts, with volunteers able to paint and decorate pre-prepared ornaments, as well as mould their own. 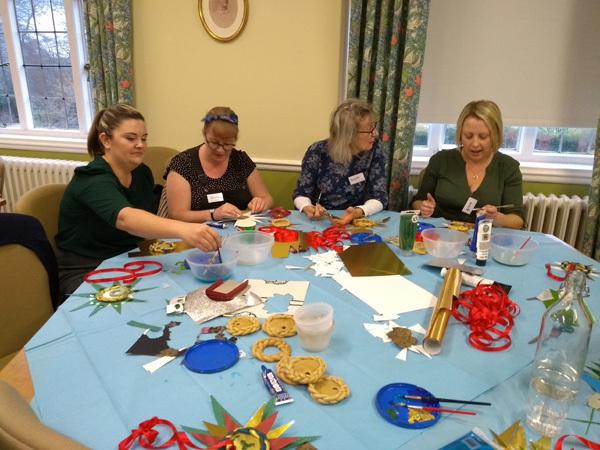 This bought a wonderful, relaxed, therapeutic atmosphere to the day, where participants could do something creative and accessible, while socialising and sharing experiences at the same time. The day ended with the screening of ‘Irene’s Ghost’ – a beautiful, moving documentary about Iain’s mother Irene who experienced PP, and died when he was three. It was emotional for all present to view the film, and to have the opportunity to ask Iain questions, as well as to discuss how we may help promote the film when it goes on general release next year. "I would sum up Saturday as a great day to spend time with kindred spirits. Thank you to the organisers for such a memorable, emotional day in a magical venue. Such a lovely connection with all the much younger mums and family whom I greatly admire for their determination to make a difference and for sharing their personal stories. 'Irene's Ghost' was very moving with great animation and a balanced measure of sadness and humour." "More than I could ever have wished for, to spend a special day with the only people in the world who truly understand how you feel and what it's like to have had PP." "The volunteers day was a day I will never forget. It gave me hope, comfort and a family I never knew I belonged to. It made me feel excited for the future and grateful for the existence of APP charity." "I felt honoured to spend the day with such strong, inspiring women who have overcome such scary and horrible times... I get emotional thinking about it now, even after a few days. It was so useful in so many ways; on a personal level, to connect with women who have been through similar experiences, there was an unspoken understanding that is hard to describe; to feel helpful in terms of having an input into future resources for women with PP; to feel valued by the staff at APP. I found it much more overwhelming and emotional that I thought I would, but in a good way. It was amazing to be part of something so special."